Using Resistance Training as Behavioral Therapy: It's Called Weightpulling. Here at Canine Culture we have been offering weightpulling as a method of rehabilitating behavioral problems, and as a competition sport, for over 10 years. For more information, articles, links and videos on training and conditioning for both physical and behavioral health, please see WWW.APDASports.com . If you have just gotten your dog his own harness and would like a private training session to introduce this conditioning method to your dog (that I refer to as "dragging") so you can practice at home, this is also available to be scheduled during weekdays or evenings. For our pulling die-hards... if the temperature outside is below 20 degrees or above 85 degrees we do not recommend exercising under these conditions. This is for the dogs comfort and safety. 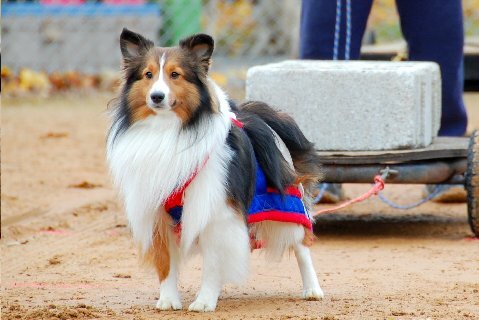 ***Novice dogs in weight pull are essentially beginner dogs that have either never pulled or are inexperienced pullers either in age, time, skill or condition. What we want you to know about attending our practices or Fun-Pulls is that the dogs are not allowed to visit each other and must be under control at all times. They need to be on a collar they cannot slip out of, on a 4 or 6 foot leash (no Flexi leashes). 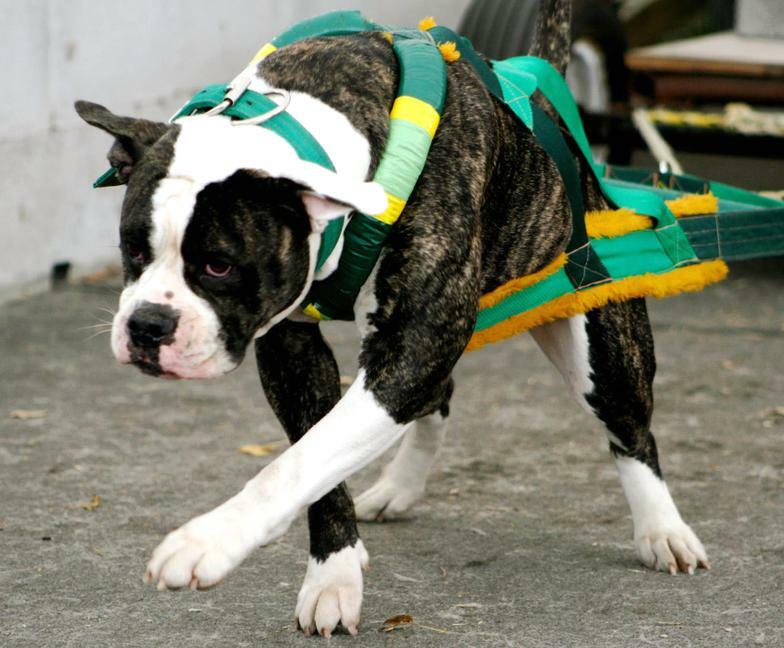 We do have a variety of sizes of pulling harnesses to borrow until you decide to have your own custom made. What we also recommend (require) that you bring what we call a HIGH value food reward. Not biscuits, balls, toys, cookies, kibble.... but GOOD stuff. Like chicken, cheese, hotdogs, etc. Yes, I even use french toast and pizza! We need to use it as a placable target, and as a high value reinforcement that does not interrupt focus. We want to pay them well for this fun and rewarding work. Its all about motivation. 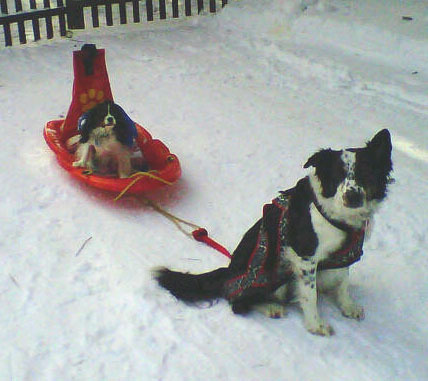 Weightpulling is a sport for dogs which some confuse with sledding events like the Iditerod sled dog race. Sledding is a hobby or sport which is often associated with Nordic breeds like the Siberian Husky, Alaskan Malamute, Alaskan Husky and similar Nordic breeds. Sledding is generally competed in as a speed or endurance event such as similar human footrace events. 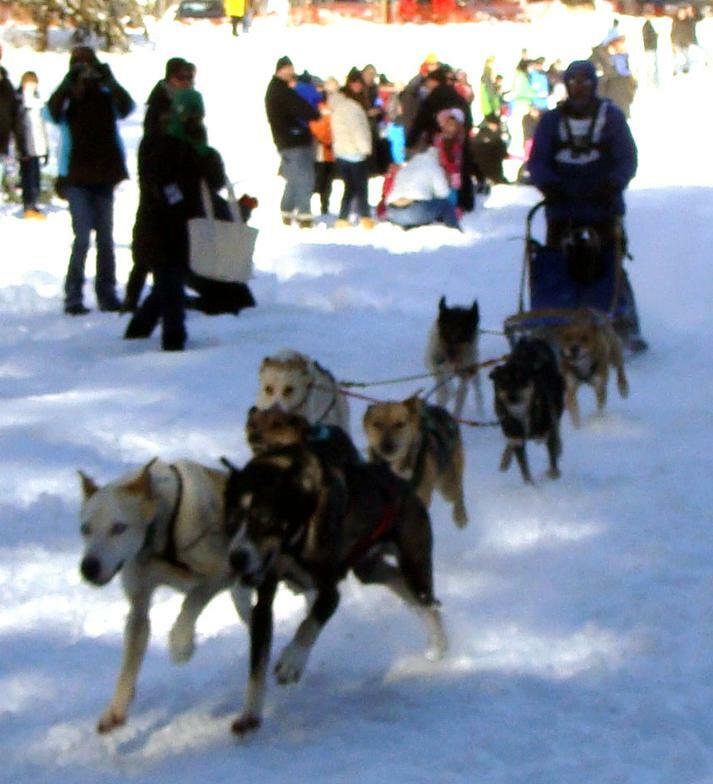 Alaskan Huskies' sled dog racing. Weightpulling can also be confused with Carting. Carting is also referred to as Drafting. 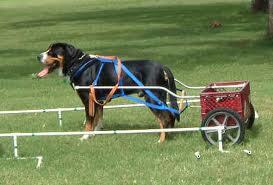 That is when the dog pulls a wheeled cart to assist in moving things from one place to another. As a competition sport it is mainly an obedience discipline where the dog shows his ability to maneuver the cart according to the handlers directions. Weight is not increased, and it is not a speed, strength, or endurance event. One large breed developed specifically for this purpose is the Swiss Mountain Dog. But many other breeds have been used for this such as Great Pyrenees and the Rottweiler. 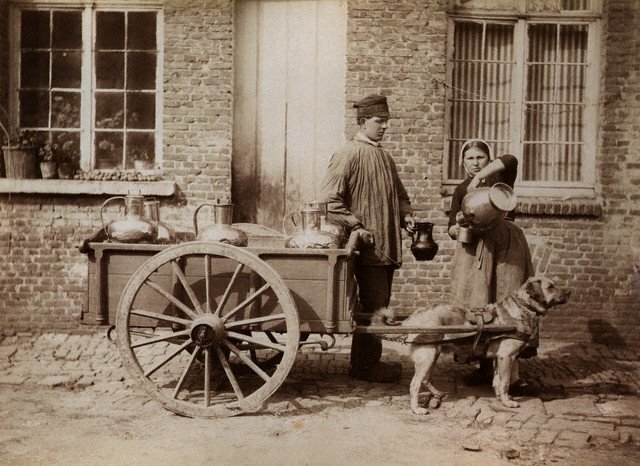 Vintage photo of dog used for carting in Brussels. Modern photo of Swiss Mountain Dog in competitive Drafting as we know it today. Because of the very old jobs dogs have had over the centuries that include pulling, competitions were often spontaneously "organized" by owners of pulling dogs. They often challenged their friends and co-workers that their dog was a better or stronger puller to show off the bond between man and dog. Some may remember this type of event in the books or movies Call Of The Wild or White Fang. 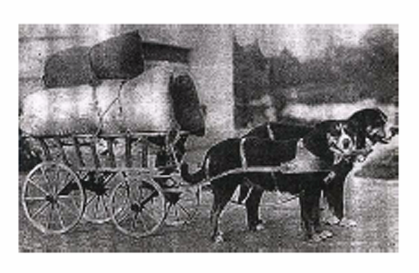 Eventually this was turned into an organized sport in which the cart or sled is pulled a short distance with increasing weight each round, until the dog would no longer pull the weight. Weightpulling is a sport now enjoyed by all breeds and mixes, small and large alike! This is Beacon, a Norfolk Terrier, and Macha, an American Bulldog. Both who competed successfully at events held here at Canine Culture. Over the past 10 years, I have been using resistance training in the form of weightpulling for MANY of my clients who were experiencing a variety of behavioral problems with their dogs from extreme shyness and fear, to aggression and hyperactivity. We have experienced that this type of exercise contributed to significantly improving confidence and relationship with the owner and increasing the speed and effectiveness of the behavioral modification and training. 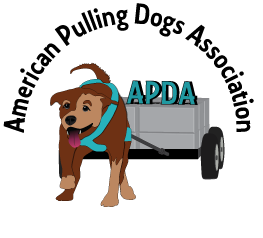 Several founders of the APDA and myself will be attending the Association of Professional Dog Trainers (APDT) national conference in October of 2014 to educate other trainers, behaviorists and veterinarians about the use of this type of conditioning and its significant contribution to aid in behavioral rehabilitation. Try it out! Your dog will love it! See the testimonials page of this website for some stories of dogs that may be like yours! This is Dory and Billy. Two of the first pupils who incorporated weightpulling into their training regimen. They still enjoy finding ways to incorporate pulling into helping around the house! 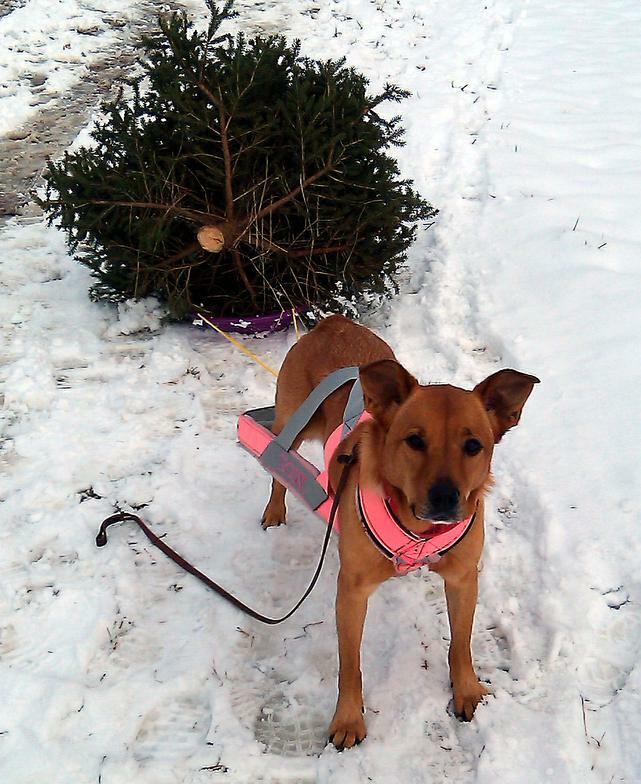 And below, Wyatt, my own dog, who benefits from resistance training the most... and LOVES it! This is Starbuck, an Alaskan Husky. He is a well known competitor in region 5 who was retired in the 2012 season at the age of 12 years. He has competed since the age of one year and qualified and taken metals in In the IWPA National Championships every year except for the 2011 and 2012 seasons in which he was only beaten by his sons. He is a testimonial to how, when properly trained and conditioned, these dogs can have an extremely long, healthy careers. This is not uncommon for dogs in the sport of agility and other sports as well. There are many such dogs competing into older age today. Most of these dogs you would NEVER guess their age, and their owners attribute their good health to keeping them active and working throughout their lives.